What is the best education model for our children? This seems to be the hottest topic since the parents showed their displeasure on the PSLE. Some of the concerns are genuine and logical, some emotional and hazy. With the amount of research done in the field of education, with the great number of our teaching professionals being educated in the best universities, with a string of degrees to prove, we must have plentiful of them to tell the MOE what is the best system to adopt. 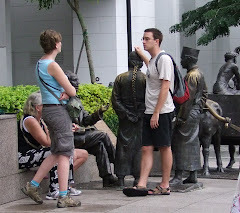 If that is not enough, scouring the information available around the world should not be that difficult. Why is there a sudden realization that things are not doing well and things must be changed? The obvious answer is that among all the experts in education, there is no agreement as to what is the best model for educating the young. There are so many schools with different values and assumptions of what is considered good for each country, the truth is that no one is wiser. Now this perennial problem that is driving the parents and children crazy is given a new platform for airing, a kind of natcon. And the MOE is seriously looking into this issue and is also sounding out the parents for their wish lists. How many super talented Education Ministers have gone through the mills in their terms of office and how many changes have been made throughout the years? And strangely, the answer seems to be so elusive. Maybe every minister stepping into the MOE shoe deserves to tour the world to scout for the best education system. There is the utilitarian school that advocates competitive education and making high demands from the children, to draw out the best from them, leading to hot housing. There are the advocates for a less stressful school system to allow the children to enjoy and be happy while in schools. There are many other variations in between. The bottom line is that parents want their children to be happy, less stressful and came out excellent in their education. Of course this combination is the best but unrealistic. The problem facing everyone, the MOE, teachers and parents, is how to find the right mix, less stressful, more fun, to give the children a good time in school and without compromising on the quality of education. A daunting and impossible task to think that this is achievable. Maybe a buffet spread with all the variations and allowing the parents to make their choice and knowing very well the consequences of the different models. What I think the likely choice would still be the current system of high pressure hothousing model. What the parents would like is no choice, just an easy going, less stressful model for all children to enjoy schooling, with lesser competition. When they are faced with a buffet spread, many would have no choice but to want the best for their children, and sacrificing the more forgiving model when the children will grow up a happier child. If there is a perfect model in the first place, the super talented ministers of the past would have found and delivered it to the happy parents and children. Maybe at primary level the schools should be more loving, more forgiving given the fact that nature would make most children to be children. Let the children have an easier time in primary level. The competition should come in at secondary level when the children are more mature and able, and a little better to know what they are in for. I don’t think any education expert has the right answer. Ok I am not kpkb so I am not supposed to provide a solution. Neither am I paid to provide a solution. Is this another joke? Did they misspelt Pizza as PISA? There is still scintillating report in the media about how smart our students were, coming in second in mathematics and third in reading and science among 65 cities around the world. 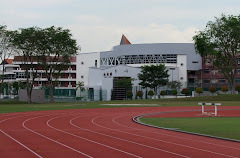 Singapore is also reported to have one of the top education system. And we have students that scored straight As like no body’s business. And our universities are ranked among the best in the world. Here is the truth. We don’t have good locals to be lecturers and professors and must import them wholesale from the rest of the world, including Third World countries. We don’t have the talents for middle and top management jobs and the island is importing millions of foreigners from the Third World countries to help the daft Sinkies. And the govt just realize that they have to train the locals for middle and top management jobs and are hoping that the MNCs can help to train them. The foreigners are recruited to shore up both the private and public companies and increasingly into govt linked companies and statutory boards. Maybe it is only a matter of time before they take over the govt too. Now, what was being reported in the media? Our students are among the best in the world? What is the joke? What happens when these Sinkie children grow up? Become duds and dafts? Which is the truth? Many graduates and professionals are no longer fit to be employed and can only find solace in becoming taxi drivers. And the good talents from neighbouring countries are taking over the PME’s jobs from the top to the bottom. Presumably their students must be better than our students and their schools and universities must also be better as well. The only reason that they did not fare well in those tests and rankings is that they did not waste time participating. They rather spend their time and effort doing the real stuff, teaching them to be good, to be better than the Sinkies and take over their jobs and country. The Primary School Leaving Examination results were released last week and 96% of the cohort passed. 67% made it to the Express Stream while the rest will continue their education in the Normal or Technical Stream. The intensity and stress arising from this examination have taken a toll on both the parents and the 12 year olds. It is the first major examination of their young lives as the result would more or less chart the routes they will take into adulthood. Those who qualified for the Express Stream will proceed to the academic course in the secondary schools. Those who ended in the Normal Stream (Academic or Technical) will continue to do likewise but in a slower pace, taking 5 years (for Normal Academic) instead of 4 years in the Express Stream before they sit for their O level Examination. The brighter students would embark on an Integrated Programme that would take them all the way to A level, skipping the O level examination. The fierce competition to get into the IP stream means that the students would have to do exceptionally well, and one way to ensure that is for private tuitions. For those parents who can afford it, it is money well spent to give their children a leg up in the education system.The IP stream is more or less a guarantee to get into the universities. Many of the IP students would end up receiving govt scholarship and followed by a career in the govt service or in the private sector. They are the cream of their cohorts. Private tuition has thus been challenged as an unfair advantage given to the rich. There have been calls to moderate this unfairness but no better alternative is available to change the course. The stress on the students and parents has led to the Ministry's decision not to announce the grades of the top students both nationally and within each respective schools. It ended with no one knowing who are the top students. This is a great departure from the elitist culture of the country, recognising top talents and rewarding top talents. It has come to this stage that for the good of the general cohort and well being, the emphasis on academic excellence at this tender age is best to be sidelined. The students would thus proceed with their lives minus this little info of who are the brightest and hopefully they need not feel so bad, and their parents as well. A little ignorance is good for everyone. This little game of deception will only last for the next 4 years when the next big exam, the O level, will come into the picture. And subsequently the A level two years later. By then the children would have grown into young adults and probably more able to cope with the disappointment if they did not do that well academically. At the same time the govt has also made effort to direct the fears of parents into other non academic areas to assure them that academic performance is not the end all of a person's life and to be successful in life. There are many other alternatives where a person can do exceptionally well, be exceptionally successful without having a string of straight As from the education system. Now what is so silly or sickening about all these comments? Did not our education system and the parents make them the best educated and skilled workers for the workforce? It is not about the inequality that tuition will cause as this is a harsh reality that the poorer working class must get used to. The rich will pay for the best tutors for their children. You cannot ban tuition and tell them not to pay for tuition. Well, South Korea did ban tuition for 20 years, but has since allowed it to practice again. There were many ways to curb tuition to prevent it from worsening the inequality, which is absolutely a silly thing to do and to even think about for any govt. Forcing the people to level down is an idiotic thing to do, really, believe me. Then what is so silly about tuition? With so much money and effort put in to develop the young, with such great education system and to quote, ‘They stress a need for workers to remain ahead in skills and students to acquire skills relevant to the global economy’, now can you see what is wrong or sickening? Our workers lack motivation, lack drive, lack of skill, uncompetitive, lack of talent, that we need to bring in workers from third world countries without the competitive culture, without the resources and the drive to do well in education or a good education system to replace them in jobs here. They don’t even have competitive parents to make sure their children received the best education money can buy. Basically after all the stress and money spent, the startling result, our students turned workers are a useless bunch for the job market. Really, trust me. What an irony? The less competitive societies and lesser equipped education system are producing all the qualified and skilled workers that our system could not produce. Shall I laugh or cry? What is wrong, MOE, MOM? 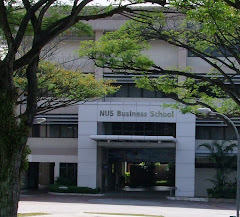 The Quacquarelli Symonds World University Ranking system has ranked NUS as the 8th top best university in the world. 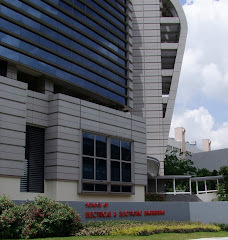 NUS, according to this system, is ranked higher than Princeton and Imperial College of London. And since Yale is not in the top 10, Yale must now rank lower than NUS. This is a great honour, said NUS Provost Tan Eng Chye, a recognition of how good NUS is today. What are the implications? 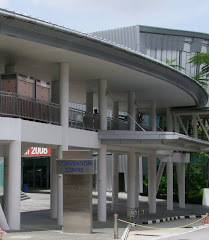 When NUS was ranked much lower and like unknowns, there was a need to boost its credential by cooperating with other higher ranked universities like Yale and Imperial College. 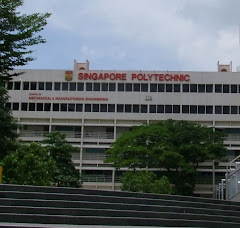 NUS is now ranked higher than these two great universities. Would it thus not really necessary to be linked to them, not that it is not good, but in terms of rubbing off some of the glitters? 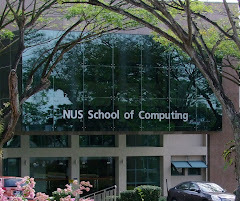 With such a high ranking, there is really no longer any necessity to be have joint campuses with other top universities as only a few are better ranked than NUS, like Cambridge or Harvard. Looking at it from another angle, all the lesser rank universities will be forming a beeline to be linked to NUS. And this is a great money making opportunity to lend our good repute, the name of NUS, to other lesser known universities, the same formula as Yale NUS. A slight problem is that there may be a need to hire more American and western professors to make it desirable. Another good repercussion to this high ranking is that employers must also be forming a beeline to hire NUS graduates. True or not? No need to hire foreign graduates from western universities and Third World universities. This high ranking must be added in the testimonials of NUS graduates to prove how good and the type of pedigree they are. And our students need not have to go overseas to study in lower ranked universities like Yale and Imperial College. NUS is better. Can save a lot of money too. The Govt too can save a lot of money by sending their scholars to NUS now. This ranking has many good economic implications and savings for the Govt and parents whose children wanted to go overseas. No need to do that anymore. NUS is the place to go, the place to be. the importance of education in paving the way for the Country’s future economic growth and development. It has therefore increasingly placed greater importance and has given greater priority in education. However, due to budgetary constraints and low standard of education in public schools in term of school facilities, quality of teachers and management staff as well as curriculum development, private sector’s contribution in providing higher quality of education has been encouraged and has been thriving over the last 5 or 6 years. In private schools the quality of education in term of curriculum, quality of teaching staff with many expatriates, and school facilities are better than that of public schools. Hence, tuition fees are higher. That, however, does not deter middle income parents in sending their children to such schools as they recognise that better education for their children would enhance better future for their children, especially more and more Cambodians are now better off and could financially afford higher education fees. Besides the Cambodians, there are also more and more foreign professionals moving into Cambodia as more and more foreign companies moving in as Cambodia is stepping up its economic development. They too need quality private schools for their children. There are no less than 100 private schools in Cambodia, mainly in Phnom Penh though there is no official figure on the number of such schools. Competition in private education is high. 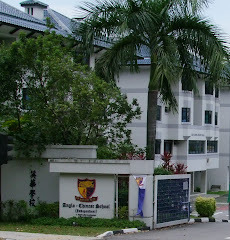 In order to stay competitive, more and more private schools are looking for ways to further improve the quality of their curriculum, their teaching staff and their facilities, as well as looking for tie-up with better schools overseas to enhance their position as leading private education institution. for possible areas of collaboration. The Fair proper is a 1-day affair for students and visitors to obtain direct information on programmes that are offered by participating PEIs.